Owning your own home can be a great source of pride, but it also comes with an immense amount of responsibility. As a homeowner, there are several different things around your house that you need to worry about, such as the plumbing, heating, and electrical systems. It’s important for you to carry out regular maintenance at least once a year to avoid serious damage to any of these systems. Here are some basic maintenance tips that will prevent serious, long-term damage to your property. Almost every house nowadays has an air conditioner. Air conditioners are used for regulating the temperature and the quality of air within a controlled environment. Most houses either have a split air conditioning unit or a centralised heating and ventilation unit. Either way, it’s important for you to contact a company that offers thorough property maintenance in London to take a look at your air conditioning system. With the passage of time, the efficiency of your air conditioning unit is bound to decrease. Proper inspections will not only help you save money, but they will also highlight impending issues that could save you from looming damage. Drain pipe blockages are very common throughout London. If you notice gargling water every time you flush the toilet or if the water takes a longer time to drain, you may have an issue with your drain pipes. 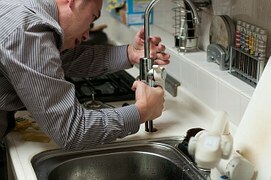 You should call in a plumbing company to take a look as quickly as possible. If the drain pipe is actually blocked, it can lead to some serious problems. Due to the buildup of pressure, the pipe can even burst, thus causing significant damage under your floors. Taking preemptive measures as a homeowner could save you from a great deal of trouble in the long run.